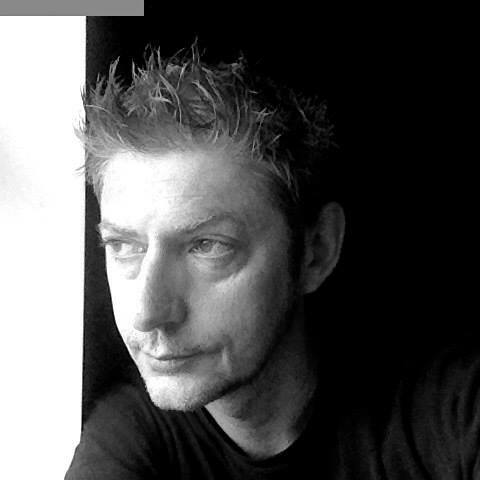 Gideon Coe BBC Radio 6 explores Bristol’s New Wave with the help of the musicians, labels and DJs that lived it. 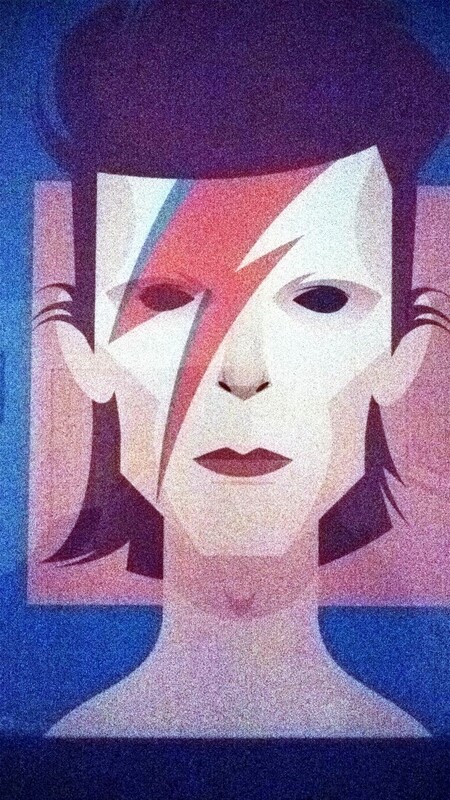 Punk arrived in Bristol in the late 70′s and found a city primed to embrace its ethos. But as the dust settled, what did the bands represent, where did they go next, and what did they leave behind? Gideon leads a roundtable chat to piece together the stories and celebrate Bristol’s secret New Wave heritage. With tracks from Glaxo Babies, Art Objects, Electric Guitars, Maximum Joy, Shoes For Industry, The Cortinas and The Pop Group. ‘Bristol Boys Make More Noise! Bristol Archive Records have been telling the story of the incredibly diverse Bristol Music scene for several years now. The label has gained incredible success with their three previous releases ‘The Bristol Reggae Explosion’ series – Volume one, two and three covering 1978 to the end of the 80’s. 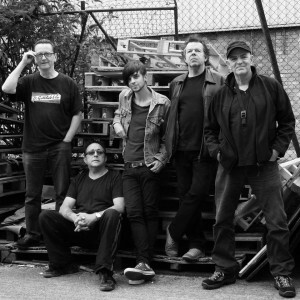 They followed the Reggae vibe with another critically acclaimed release, The Bristol Punk Explosion 1977-1983 which covered 1977 and The Cortinas through to Onslaught and the oncoming of Thrash Metal. Now they turn their attention to another SUB CULTURE – Mods, Power Pop and Scooter Boys. This album covers the period 1979 to 1987 and features 21 tracks. When punk rock started to fizzle out and Squat Punks started to appear on the streets, many of the UK’s disaffected youths had already moved sideways in Modernism and fell in love with bands like The Jam, Secret Affair and The Chords. 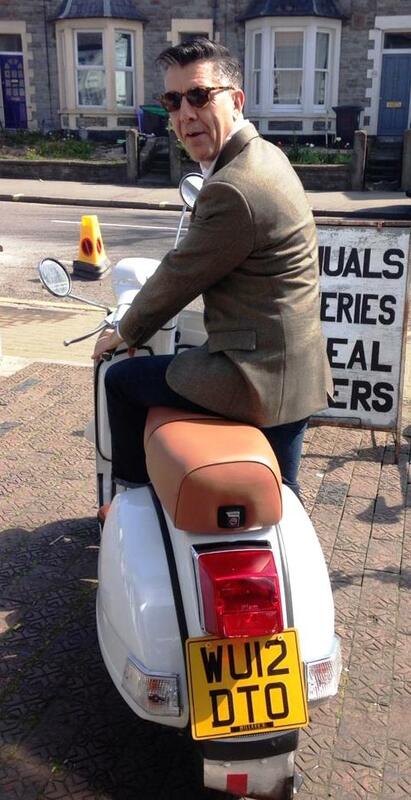 Mod was another gang culture, to some a way of life, to some it became life. The smart, striking fashion sense, the scooters, the music; (some from the 60’s, soul and motown), some from the 70’s and 80’s, guitar driven power pop. Wow, Mod was the real deal. The West Country embraced the scene and produced its own Mod bands like Mayfair and The Newbeats. Other bands were in on the act but could be more appropriately described as Power Pop / Ska, namely The A.T’s from Bath, The Review from Clevedon and Sky High from Gloucester. Success for some was supporting their heroes, a good example being Thin Air (previously called Out of Order) with their 14 year old guitarist and songwriter Paul Sandrone, who supported The Jam at The Locarno in 1980. Or The Rimshots, who played on the same bills as The Beat and The Bodysnatchers. Most of the tracks on this album are previously unreleased or were issued on tiny runs of Limited 7” vinyl. Some of our boys did make the grade though. Huw Gower with his band The Records, signing to Virgin in 1978 and had a number 56 Billboard Top 100 hit single with ‘Starry Eyes’, also playing on the same bills as the Jam. Huw recorded the track ‘She’s Still a Mystery immediately after he’d left The Records in 1981 with a big anthemic chorus, classic trademarks of The Who. This album is a soundtrack to an era, remembering a period in time when Top of The Pops was full of Two Tone bands. Thatcherism was killing multi cultural Britain but to escape, it was ok to write a catchy pop song, it was ok to look smart and it was acceptable to wear a Parka (weirdly all the rage again now in the 2016). 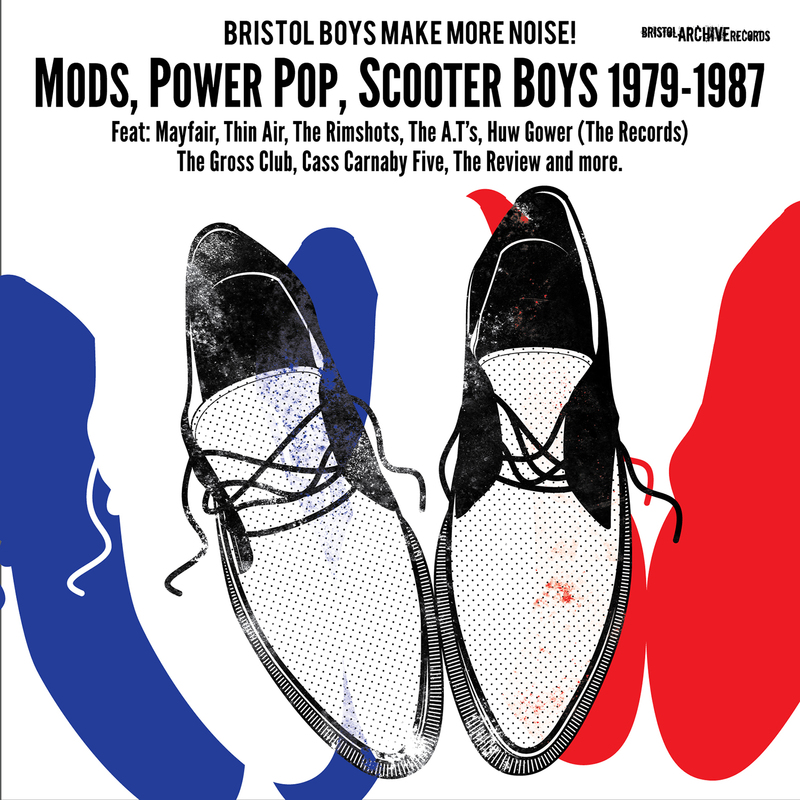 Enjoy the soundtrack to their lives – Bristol Boys Make More Noise! Mods, Power Pop, Scooter Boys 1979-1987 is released April 1st 2016 on CD and digital download. The novel provisionally entitled ‘To Be Someone’ Bristol Mod 1979-1985 written by Michael W Salter will follow later in the year published by Bristol Archive Records and Tangent Books which tells the story of the Bristol Mod and Scooter Boy scene. Rita Lynch has been a part of the UK’s underground music scene for 30 years. Her adopted hometown of Bristol is a key part of her incredible story and development through punk rock, squatting, hard drinking, experimentation, love and loss and some beautiful music. She has made 6 albums in a career where the key motifs are about funnelling emotion and experiences into music and developing her craft so that it becomes a soundtrack to people’s lives. Songs like ‘Beautiful Eyes’, ‘Call me your Girlfriend’ and ‘Rolla Coaster’ have been many people personal soundtracks and this compilation presents many more of Rita’s previously released and unreleased songs. Never easily pigeon holed, Rita Lynch is a gifted songwriter and talented lyricist.